Cover Artwork: “The Village of Poet Laval, Provence, France”. “[StockCube] / Depositphotos.com”. 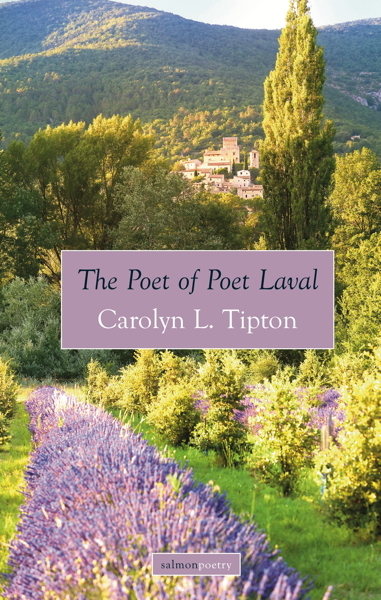 Carolyn Tipton’s third book, The Poet of Poet Laval, begins by celebrating openings, moments that give an abundant sense of possibility. The poems sometimes return here, but also move through other themes—by way not of sections, but of transitional poems—to death and the Spanish Civil War, to art and different perspectives on creating. The poems then shift their attention to love—its dazzlement, its despair. The book ends with a series of poems about our very reciprocal relationship with the natural world, noting especially the ways in which it speaks to us—the green flash! Sometimes, the poems register dissolution and loss. Yet they also attend to compensations, saving graces, and window-moments that can change our perception, or simply delight us with the surprise of a small revelation. 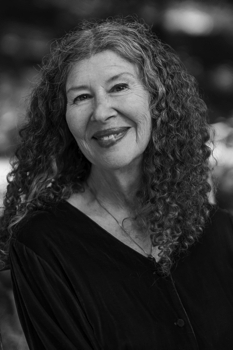 Carolyn L. Tipton, born and raised in Berkeley, California, is a poet, translator, and teacher. She has a Master’s Degree in English/Creative Writing from Stanford University and a B.A., M.A., and Ph.D. in Comparative Literature from the University of California, Berkeley, where she currently teaches in the Fall Program for Freshmen. She has published many poems and translations both in various journals, including Partisan Review and Two Lines, and in anthologies, including Norton’s World Poetry: An Anthology of Verse from Antiquity to Our Time, and Robert Hass’ Now and Then: The Poet’s Choice Columns, 1997-2000. She has been the recipient of various grants and awards, including fellowships from the National Endowment for the Humanities and the National Endowment for the Arts. She has also been awarded writing residencies at The Banff Centre and the Vermont Studio Center. She has given readings of her poems and translations in the U.S., Mexico, Canada, and Spain. Her first book of translations of the poetry of Alberti, To Painting: Poems by Rafael Alberti (Northwestern University Press), won the National Translation Award. Her second, Returnings: Poems of Love and Distance (White Pine Press) won the Cliff Becker Translation Prize.